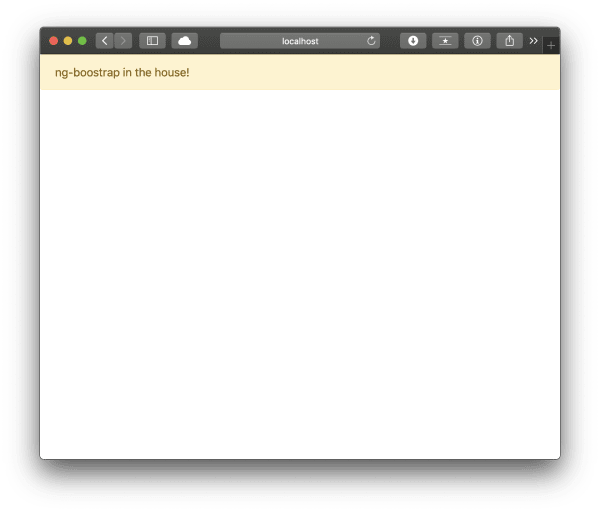 This article discusses how to integrate Bootstrap with an Angular project in three ways - using Bootstrap natively, via ng-bootstrap as well as ngx-bootstrap. Back in the day when CSS was a lot less complex (think, the 1990s), it was relatively easy to style a page. However today there's a lot that developers need to take on to deliver a page with the correct design. Of course, to solve the need for seamless design, a few frameworks have emerged. 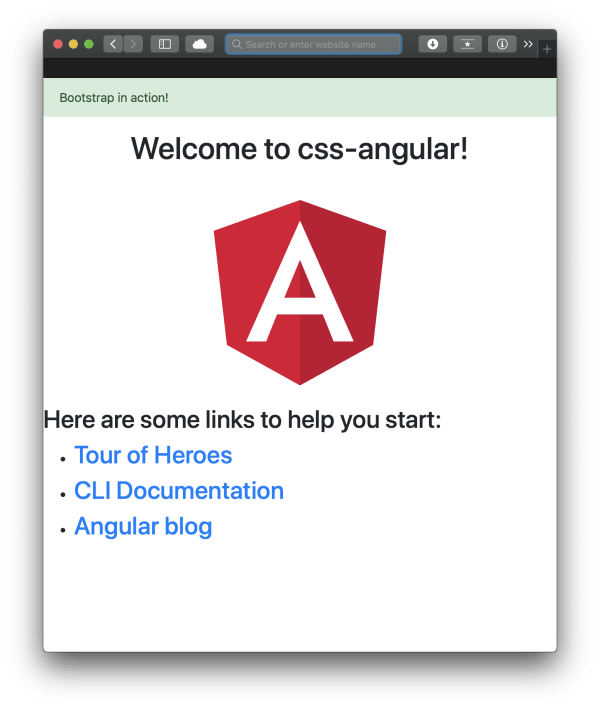 In the first article in the series, we'll explore how to add Bootstrap to an Angular application, while in the second, follow-up article, we'll examine how to use Material Design. Of course, there's no need to use both of these frameworks, either one is fine, but they have different integration paths. Bootstrap with its latest, fourth version, is one of the most utilised front-end component libraries. It allows developers to add a sophisticated grid system, use components such as dropdowns, modals, navigation bars and progress bars. To use Bootstrap in an Angular project, first, make sure to create an Angular application via the Angular CLI by executing ng new [app-name]. Let's also go ahead and install Bootstrap for the project via npm: npm i bootstrap. Note that Bootstrap depends on both Popper.js and jQuery - both of which you also need to install via npm i jquery popper.js. Also note that we could have inserted Bootstrap in index.html via a CDN but, in this article, we are reviewing how to add it to an Angular project in a more integral way. It's also very important to that if currently ng serve is running - i.e. we are looking at our application via a development server - we need to stop that process and start it again, as changes to angular.json do not get propagated into a running server so in order to see the changes a restart of the process is required. To do a quick test, let's open index.html and add the following HTML to it which should show a Bootstrap alert panel. Let's do as the CLI suggests and install the type definition for jQuery. But even after the installation, we get the same error. Only this time will this relatively straightforward piece of code work. Let's take a look at a much better solution and remove certain dependencies for the project at the same time as well. Both of these component libraries do pretty much the same: they give us Bootstrap components without jQuery and Popper.js as dependencies or without the actual bootsrap.js (A Bootstrap CSS is still going to be needed!). Should there be concerns as to whether jQuer or Popper.js is used by these libraries, let's go ahead and uninstall them by executing npm uninstall jquery popper.js as well as removing the script entries from angular.json. Selecting only the modules required by our application will reduce the overall size of the project. The above should display an alert panel. The above allows us to capture the close event for the modal as well as print the reason why it was closed - all this without a single jQuery / Bootstrap.js dependency. Code sample taken from the ng-bootstrap documentation. It has been slightly modified. To install it, please execute npm install ngx-bootstrap. As an alternative ngx-bootstrap also supports the ng add command: ng add ngx-bootstrap. This second approach also automatically edits the angular.json file to add the appropriate css files under styles so there's no need to add the location of Bootstrap's CSS manually. Again, remember that importing only the required module is going to help to reduce the overall size of the application. If we have done everything correctly, a green alert should be shown. In this article, we have reviewed how to integrate the popular CSS framework Bootstrap to an Angular application in three ways: natively, via ng-bootstrap and ngx-bootstrap.